A new openingPhD position in archaeology is available at Stockholm University, Sweden. Successful candidate will have funding to work and study for four years in Sweden. Eligible candidates should submit the applications before October 15, 2018. The Department of Archaeology and Classical Studies, which is the largest archaeological environment in Sweden, consists of six sections: Archaeology, Archaeological Research Laboratory, Stockholm Numismatic Institute, Osteoarchaeological Research Laboratory, Classical Archaeology and Ancient History, and Centre for the Study of Cultural Evolution. At the department, research and teaching are carried out in a wide range of fields. Research in Classical Archaeology and Ancient History covers Greek and Roman cultures in the Mediterranean area from the Stone Age to c. AD 600. Ongoing research at the department includes ancient religion, Greek and Roman art and archaeology, Aegean prehistory and Classical reception studies with a special focus on such topics as gender roles, ethnicity and identities in Antiquity. For information about our researchers, see at the website Our researchers. As a PhD student at the Faculty of Humanities you have the opportunity to participate in the Faculty’s Doctoral School, which offers themes and courses characterized by interdisciplinarity and cooperation across subject borders. The Doctoral School also gives you the chance to improve the quality of your education thanks to the interchange provided by the community of PhD students from other subjects and departments. In order to meet the general entry requirements, the applicant must have completed a second-cycle degree, completed courses equivalent to at least 240 higher education credits, of which 60 credits must be in the second cycle, or have otherwise acquired equivalent knowledge in Sweden or elsewhere. In order to meet the specific entry requirements, the general syllabus for doctoral studies in the field of archaeology stipulates that applicants must have successfully completed advanced courses at least 30 credits Classical Studies, Classical Archaeology or Ancient History including a thesis of at least 15 credits. It is required that the applicant has knowledge of Swedish, Danish, Norwegian or English. Language skills must include the ability to read, speak and write in one of these languages. Further required language skills should be directed by the choice of topic for the thesis. The entry requirements can also be met by students who have acquired equivalent knowledge in Sweden or elsewhere. 1. Education. Assessment of both depth and breadth of previous education. 2. Scientific production. The assessment should also take into consideration the aspect of time, that is, to what extent the applicant has shown the ability to meet his or her previous scientific obligations within given time constraints. In addition, the scientific progress of the applicant is considered. Based on a Bachelor's thesis, a Master's thesis or other academic papers, the ability of the applicant to benefit from the education is considered according to critical ability, analytical ability, creativity and independence. 3. Research plan. The applicant should enclose a research plan, which should cover the research problem and an outline of the research project. The research plan is assessed according to relevance, originality and completion within given time constraints (that is full-time work during a four-year period of doctoral studies). 4. Ability to collaborate. The ability of the applicant to be collaborative is determined by personal references, certificates or interviews. Admission Regulations for Doctoral Studies at Stockholm University are available at: www.su.se/rules. Only a person who will be or has already been admitted to a third-cycle programme may be appointed to a doctoral studentship. The term of the initial contract may not exceed one year. The employment may be extended for a maximum of two years at a time. However, the total period of employment may not exceed the equivalent of four years of full-time study. Doctoral students should primarily devote themselves to their own education, but may engage in teaching, research, and administration corresponding to a maximum of 20 % of a full-time position. Please note that admission decisions cannot be appealed. 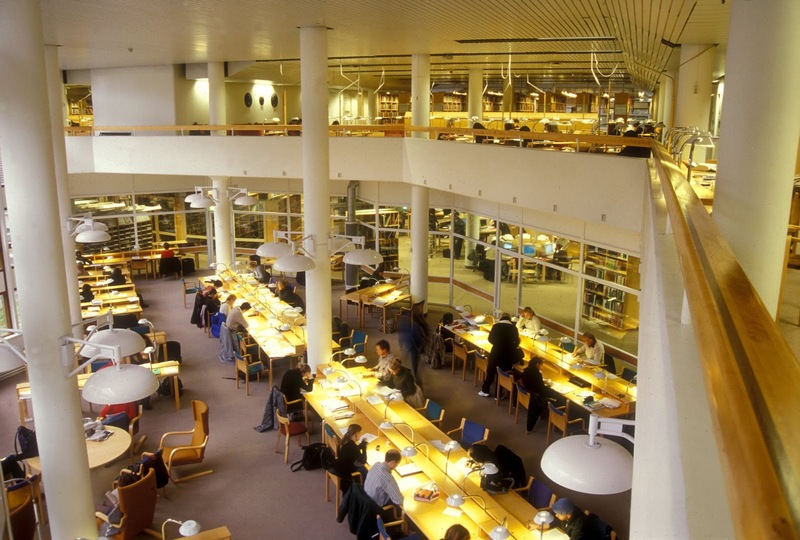 Stockholm University strives to be a workplace free from discrimination and with equal opportunities for all. For more information, please contact associate professor Lena Sjgren, telephone: +46 8 16 33 66, lena.sjogren@antiken.su.se or associate professor Ann-Louise Schallin, telephone: +46 8 16 33 67, ann-louise.schallin@antiken.su.se. Apply for the PhD student position at Stockholm University’s recruitment system. It is the responsibility of the applicant to ensure that the application is complete in accordance with the instructions in the advertisement, and that it is submitted before the deadline. - Degree projects/theses (no more than 6 files).